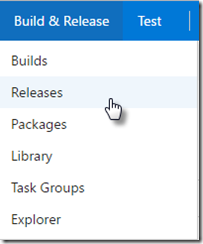 Today I am going to show you how to configure Jenkins with VSTS using the TFS Plugin for Jenkins. 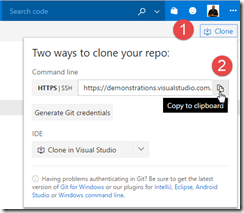 Using this plugin makes it very easy to use Jenkins with VSTS to create a full CI/CD pipeline. I do not cover installing Jenkins or any details. I assume that if you are reading this you already know how to use Jenkins. 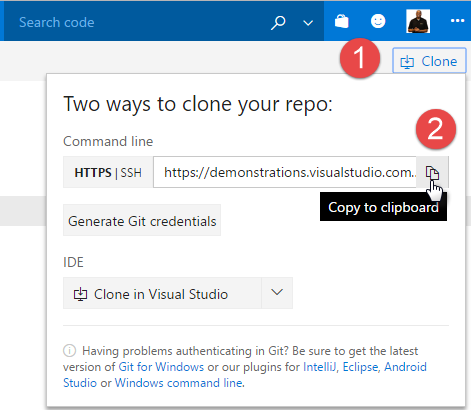 If you are new to CI/CD just use VSTS it requires no installation and you can build Java, Node.js, .Net out of the box. 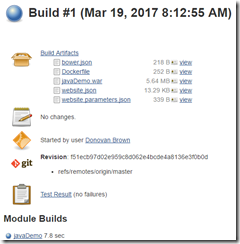 If you are already using Jenkins I will show you how to wire it to VSTS. 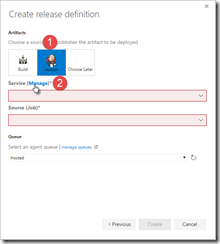 With the above we are ready to configure a project to pull from VSTS, build in Jenkins and deploy with VSTS. 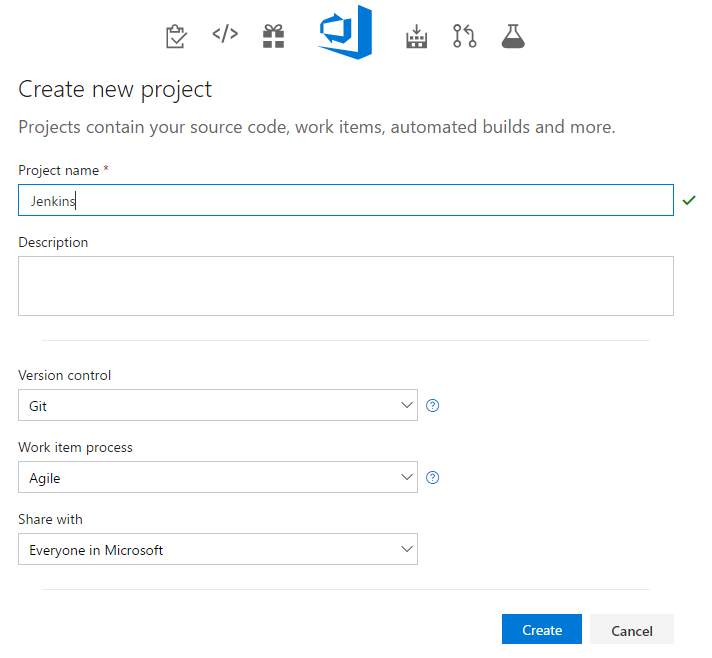 With our VSTS Team project created and source imported we can switch over to Jenkins. 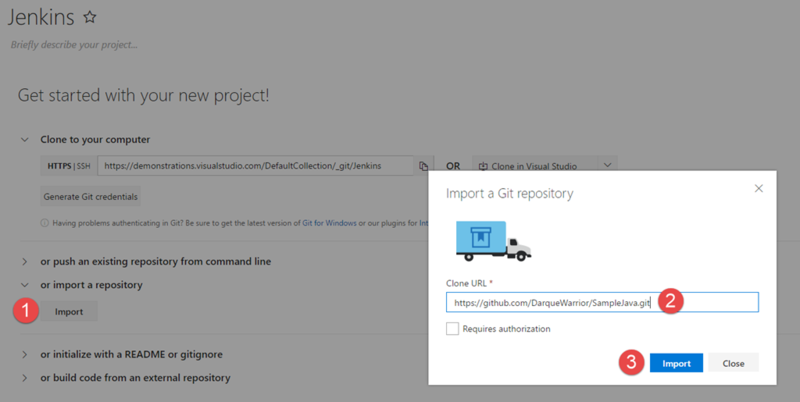 With the Jenkins project in place we can configure VSTS to start this build on every commit using a Service Hook. 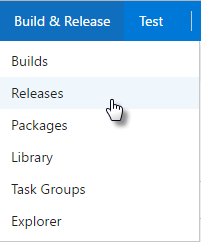 With the build working we can create our release. Configuring your release depends on the type of project you are building. 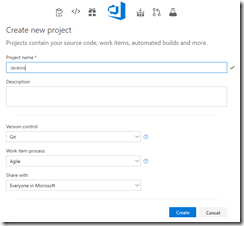 The goal of this post is to wire up the parts so when you commit a change Jenkins is used to build the code and start a release in VSTS. So, I will leave the release empty. With a release created we can now return to Jenkins to have it trigger this release when the build completes. Once the build is complete a release well be started. 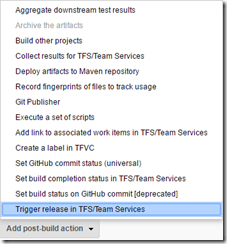 Using the TFS Plugin for Jenkins makes it very easy to setup CI/CD between VSTS and Jenkins. 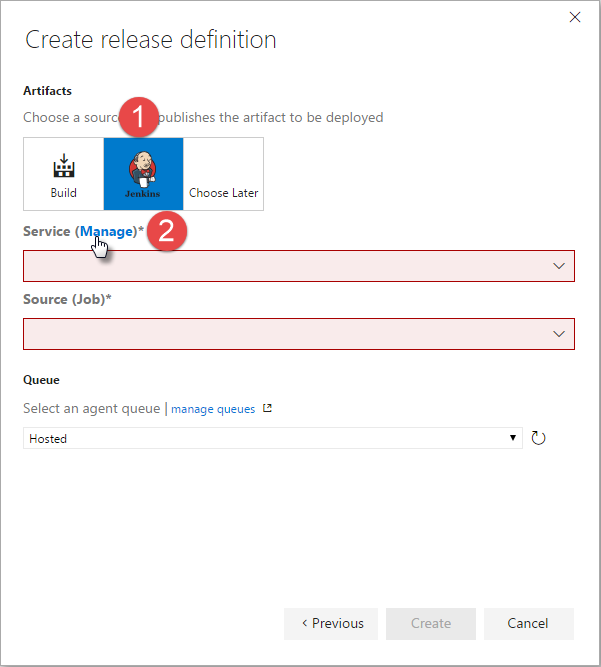 In this post I will show you how to enable full CI and CD with Jenkins and VSTS. I am curious about how do I trigger next build using same artifacts that my current build used. In other words, I want to trigger my staging build using the same artifacts which my dev build used. I am able to trigger my staging build after dev build completes, but it (staging) uses the repository directly to get the latest changes. My problem here is if somebody merges the changes in-between these builds, there is a chance that staging might pick up the latest changes and not the changes with Dev was successful. Why are you building the same code again? Should build once and simply deploy same binaries to each environment. I don't know if it is only happening to me. 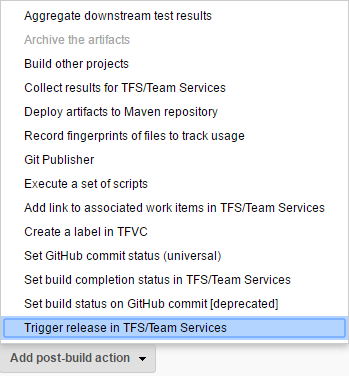 But the trigger in Jenkins to VSTS obly works correctly when the Release Definition only have a Jenkins Artifact. If that definition has 2 or more artifacts (e.g. Git) it fails when triggering in Jenkins side. Except that, it is a great integration for autimation. Is your Jenkins artifact marked as primary? Yes. Jenkins artifact is marked as primary artifact. OK I will see if I can find someone on the team to look into this. 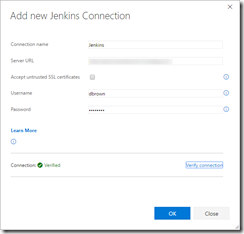 I am trying to set up with TFS 2015 via Jenkins with TFS plug in 5.2. Are you using a private or hosted agent? 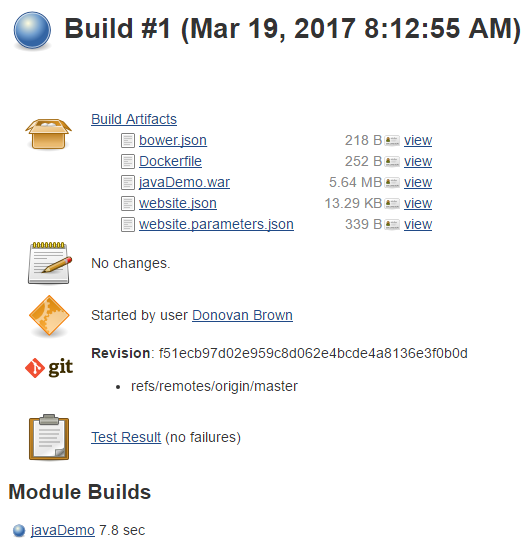 I am setting up CI/CD with the TFS Plugin for Jenkins. I configured in my TFS 2015 the connection to my Jenkins Server , Connection was set up fine. Any suggestion how to tackle such issue ? How can I add Jenkins in the list option of New Service Endpoints ? It should just be there. You don't have to install anything for it. Why do you use Jenkins instead of using TFS 2017? Isn't it a CICD tool by itself? This was only to show customers that it is possible to use them together. 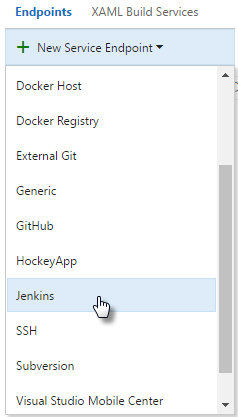 I would never select Jenkins over VSTS or TFS. But many people already have an existing investment in Jenkins. If that is the case you don't have to throw all that away. You can use them both together.